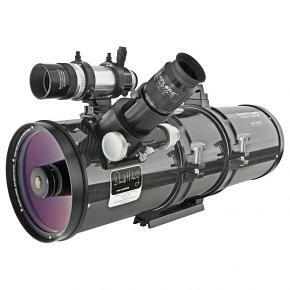 Highly corrected optic for wide-field observation and astrophotography. 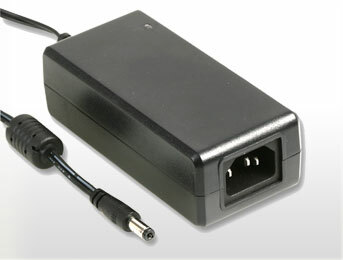 Developed in collaboration with the famous "comet hunter" David H. Levy. The Maksutov-Newton system does have some pros and cons respectively to the classical newtonian design. Apart from the higher price the main disadvantage is the higher weight - the thick corrector lens at the front is the cause for this. The main advantage of the Maksutov-Newton compared to the classical newton is the sharpness of the field of view. Classical newtonian telescopes do show a sharp pinpoint star image only at the middle of the field of view - outside the optical axis they have a dominant abberation, the so called coma. This is inherent in the newtonian design, and therefore valid for all newtonian telescopes of all brands and not caused by manufacturing tolerances. Coma distorts the star image - the pinpoint star shows a tail, just like a small comet. This decreases sharpness and contrast considerably. The Maksutov-Newton shows a much sharper star image - for most applications the coma is not visible. This results in a high contrast image all over the field of view - for visual observations and for astrophotography with DSLRs alike. 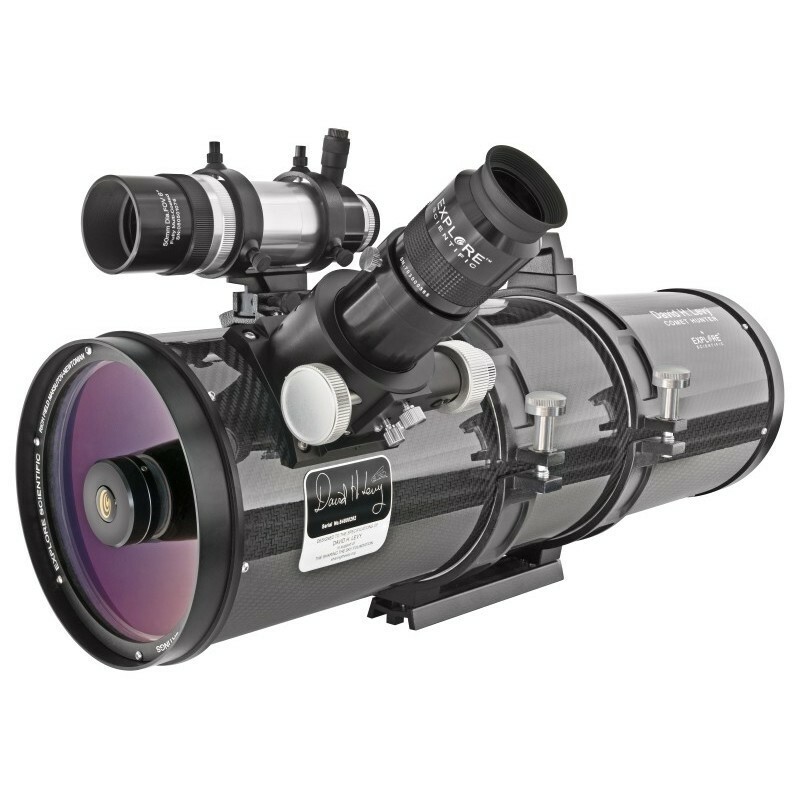 This makes the Maksutov-Newton a ideal all-purpose telescope, that is able to show a sharp field without the need for additional correctors. 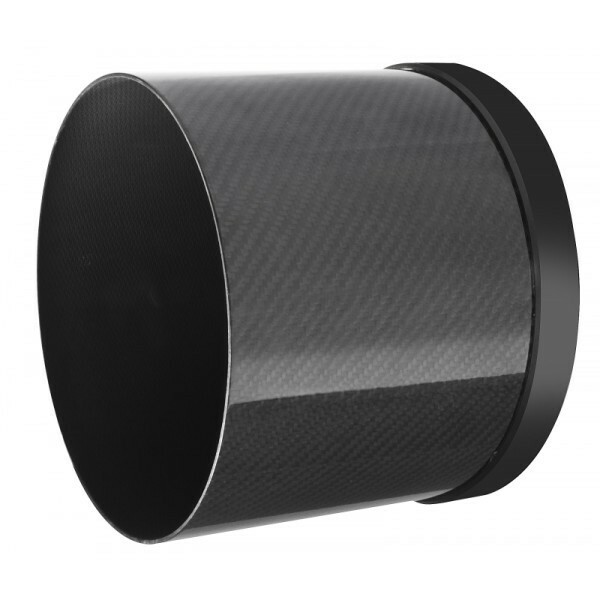 Eyepiece Barrel diameter: 2 "and 1.25"